As you know, I’ve been traveling extensively all over the place in the past couple of months. At this rate I’ll soon be like a modern day Alexander with no worlds left to conquer. The one thing that kept me sane (and healthy) between long flights and train rides, nights of subpar sleep and countless BLT’s was training. Since I had no time and intention to find a passable gym in every new city I visited, the only thing I could count on was utilizing a chin-up bar easily findable in most outdoor parks, and a pair of gymnastic rings I carried in my luggage eveywhere I went for short, intense training sessions. During my trip in the US I stumbled upon a great book – Rough Strength Files: 42 Ideas on Low-Tech Strength Training – on minimalist training by a Ukrainian fella named Alex Zinchenko. It’s a must read training book for anyone interested in getting strong with the most basic of equipments available and so far removed from the mainstream training advice you hear everywhere, that I immediately hit him up over the interwebz and asked to pick his brain on advanced bodyweight training, an invitation he graciously accepted. YB: Hey Alex. What’s your background story, how did you get started with bodyweight training? AZ: I got interested in training in general a long time ago. My strength journey started in “basement-style” gyms. There I did everything I could with a barbell. I experimented with every training approach I read about. That is where my core training philosophy was forged. In 2010, I discovered that the barbell, despite my beliefs at that moment, was not the absolute requirement for getting strong. You know, resistance is resistance. I started experimenting with different training implements, particularly, with sandbags and kettlebells. Amazingly, these tools worked as good as barbells, and in some cases, even better. That’s how the Rough Strength Method was born. In 2011, I read the book that added the last important piece to the Rough Strength Method. This book is called “Convict Conditioning”. Before it, I didn’t realize that bodyweight training could be successfully used to develop strength. In reality, the possibilities that progressive calisthenics can offer turned out to be tremendous and mind-blowing. That’s how the Rough Strength Method became complete. YB: What do you view as the most impressive movement you’ve learned and perfected so far? AZ: “Impressive” is a relative category. Different people will mean different things using this word. 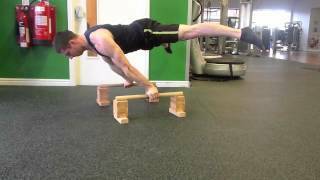 If we are talking about calisthenics, then it is the Straddle Planche. However, I can’t say that I perfected it yet. Could you possibly perfect something? YB: In your opinion, what are the three biggest myths and fallacies surrounding bodyweight training in mainstream fitness circles? AZ:1) People still believe that bodyweight training is useless for gaining strength and building muscle. That’s not true. Once you make calisthenics progressive (always strive to perform harder exercises), they bring results just as barbells. 2) Some people think that calisthenics are easier than weights, and thus completely ignore the laws of effective strength training. They just fool around on bars instead of getting stronger. While fooling around can be fun and refreshing, I believe that you need a structured approach that takes into account all the main training variables: volume, intensity, and frequency. 3) Also, when people do everything right in regards to programming, they still may receive no results because calisthenics require skill work in addition to strength. You know, training the One-Arm Chin-Up or the Planche just once a week is not enough. On the other hand, you rarely can train a move/position heavy more often than once every 5-7 days. The Heavy-Light-Medium approach and Grease the Groove are both easy-to-implement and effective methods of overcoming this problem. 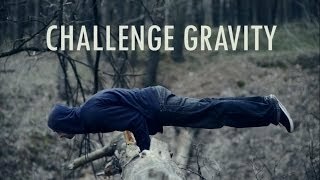 YB: What are some of the unique advantages and challenges that come with bodyweight training and what are some of your go-to exercises? – And importantly, sustainability. You will be able to maintain and develop your strength in any external circumstances until the day you die. – Huge jumps between progression steps. You know, when you can hold Advanced Tuck Planche, but fall flat on your face attempting the Straddle version. This list works for me due to my goals. You may need other exercises. YB: If you could choose and practice only three most important bodyweight movements for the rest of your life, which would you pick? YB: How does progressing on advanced bodyweight movements differ from using the more traditional gym equipment like barbells and dumbbells? AZ: As I mentioned, you need to consider skill work. And you need to be more creative due to huge jumps in intensity. Additionally, you can differentiate Straight-Arm Strength and Bent-Arm Strength in your programming. As far as I know and experienced, everything else is the same. YB: How do you know when it’s time to move on to a harder progression with calisthenics? AZ: A vague answer is once you feel that the current progression step is easy. The more specific answer requires an exact case. Every bodyweight exercise is different and you will need to implement different strategies to progress in them. As an example, let’s take a look at the Planche progression. A lot of coaches recommend the basic Tuck/Advanced Tuck/Straddle/Full Planche progression. Most of the people stuck right in the middle of that sequence due to the HUGE intensity jump. The thing that helped me is dividing the progression into smaller steps. Thus, after the Advanced Tuck, I moved to Knees-Out Advanced Tuck, then to Piked Straddle, and finally, to Straddle Planche. Additionally, answering your question, I moved to a harder variation once I could hold it for 3-5 seconds. YB: You have said that gymnastic rings are the ultimate upper body strength developer and that you can never outgrow them. What do you mean by that? AZ: You will always be able to find a harder ring exercise than you are doing now. And even if you don’t, which is HIGHLY hypothetical, you will be able to combine different exercises in sequences, and thus progress further in strength. YB: Alex, you’re from Ukraine. How’s training over there, do people have a better handle on training and nutrition or do they keep looking for that elusive magic pill that will cure their fitness woes in the blink of an eye like here in the West? AZ: After the fall of the “iron curtain”, most of the people here in the post-Soviet Union space got access to western mainstream information with the idea that they lived wrong and finally are getting it right. The internet amplified this phenomenon even more. Thus, most of the knowledge developed here is lost, and the situation is quite similar to the West. YB: What are some of the biggest mistakes you see new and experienced trainees making in their fitness/training program? YB: If you could sum up your training philosophy in a few words, what would they be? AZ: Use anything you have, be progressive, get stronger, and watch out for bears! YB: Which coaches or individuals have influenced your approach to strength training the most over the years? AZ: There are lots of them! I can’t possibly name everybody, but the people that influenced my approach and my training philosophy the most are Mike Mahler, Ross Enamait, and Brooks Kubik. YB: Anything else you’d like to share? AZ: I would like to mention the importance of being open-minded. There is no need to limit yourself to calisthenics or kettlebells, or anything else. Find what suits you and do not be afraid to try something new here and there. By limiting yourself only to one tool, you are limiting your strength and athletic development. YB: Where is the best place my readers can find more information about you and your work? Additionally, you can check out my book “Rough Strength Files” here and here. Thanks for the interview, Yunus. Play rough!